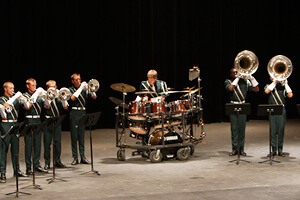 From soloists to small ensembles, the Drum Corps International World Class Individual & Ensemble Competition (I&E) gives corps members a chance to exhibit their personal talents in a unique setting. 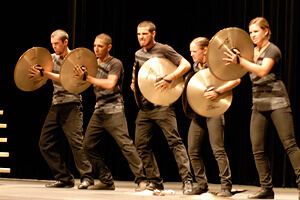 Incorporated among regular brass, percussion and color guard captions, are dance, woodwind, and new for this year vocal categories, to give all corps members the opportunity to showcase their talents even if their primary instrument is not allowed under regular Drum Corps International rules. 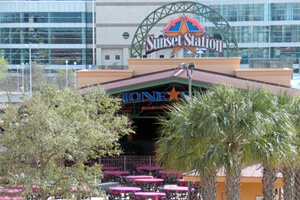 The 2011 World Class I&E will take place at historic Sunset Station (1174 E. Commerce, San Antonio, TX 78205), a facility located just a few blocks from San Antonio's Alamodome, Convention Center, and River Walk. Public parking is available around the venue. Most lots will cost around $5. More than 300 performers will take part in this year's Individual & Ensemble Competition. Where are the Open Class corps? The Open Class Individual & Ensemble Competition will take place as part of World Championship festivities on Wednesday, Aug. 10 at the Indiana Convention Center in downtown Indianapolis.